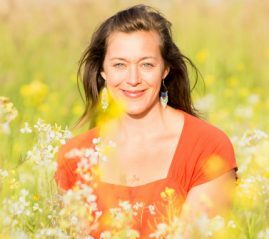 Note: It is our distinct pleasure to share this interview with our friend and best-selling author, Katy Bowman, who was gracious enough to contribute her thoughts on integrating Natural Movement into your lifestyle. There are so many nuggets of wisdom in here for all MovNatters, and especially for busy women, moms, and families. Enjoy! MOVNAT: What are some of the best ways to fit movement into your daily life (i.e. in a non-workout format)? Make movement part of the way you gather your food. Start a garden (even a few pots on a balcony works! ), walk to the grocery store and carry your bags of ingredients home in unique ways to diversify parts used, forgo all drive-throughs. When cooking, choose traditional methods of food preparation—think kneading dough by hand, chopping food with a knife, whipping cream with a fork—rather than outsourcing this work to technology. Instead of plopping in a chair at the end of the day, take rest on the floor, holding yourself up and arranging your body in different shapes, cycling through them. Connecting with your partner via dinner or a movie is great but also sedentary. You can get more out of “date night” by heading out for a date hike. Or, if you don’t have a few hours to go move together in nature, grab some food to go and nosh as you walk through your urban location. What are the most important things parents can do to raise healthy, movement-aware and adept children? In my opinion, all humans require nutrient-dense food, abundant movement, fresh air, sunlight, freedom to express their individual natures, and to be considered as fully human (so for example, children need to be seen as complete from birth) to be well. I strive to meet all of these needs while considering each need through a movement-filter. While I am not a parenting expert (or even an expert at parenting), I am acutely aware of how little movement is modeled (i.e. normalized), permitted, and facilitated for our children. Not exercise or athletic movement, but the reflexive communing with the world—the landscape, other people, textures—that is often movement-driven. Thus, what I’ve deemed most important for our family is to model, permit, and facilitate movement. However, because movement can serve many purposes, this movement doesn’t have to be done for the sole purpose of physical aptitude or prowess—it can be done as children are educated, as they connect with their elders and local community, as they participate in the family tasks of eating, keeping ourselves warm, clothing ourselves, tending animals and other non-human entities we depend on regularly. Practically, this means we keep a pretty minimal home in terms of furniture, look for outdoor education and learning opportunities, take lots of camping trips, walk daily to do our chores, take our family vacations in more natural settings that get us out and wandering, and have very little screen or video time. This is different from adding a lot of structured activities to keep everyone exercising—which can often add up in terms of cost or time spent meeting the movement needs of one person, one hour at a time (plus two driving hours). I decided a long time ago that fractioning my life into separate bits—work, play, parenting, eating—wasn’t ultimately working well for any of my family. This is when I decided to apply nature/permaculture principles to how I approached living and get multiple things done at once. I decided to forget the hacks and go with the STACKS, i.e., “stack your life.” You can read more about stacking your life in Movement Matters, but essentially it’s what I describe above: finding new ways to accomplish daily tasks, ways that meet more of my needs at once, usually including movement. Multi-tasking is trying to do more tasks in a single bout of time. Markedly different, stacking your life is finding the single task that meets multiple needs. A family walk to the store to get food for dinner can get us all food, movement (walking and carrying), nature, family time, and a bit of learning all at once. Through a “stack your life” perspective, I can fit into one or two dynamic hours what it used to take me four sedentary ones. What advice would you give those who spend a lot of time being sedentary (e.g. desk job)? 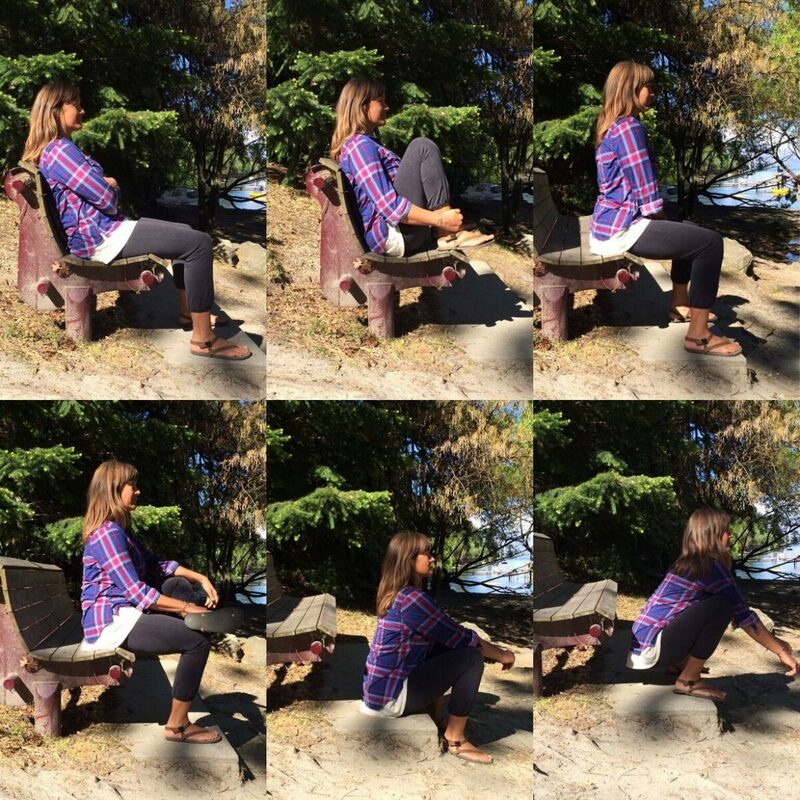 Is it as simple as sit less, move more? Editor’s note: The following questions were submitted by members of our MovNat Women Facebook Group. The movements I recommend for pregnancy are the same ones I recommend for all humans at every stage of life. We all have the load we’re carrying that is our body. In the case of pregnancy, it’s just radically shifting. If you picked up a 20-pound weight, you’d certainly mind your form, and the same goes for carrying your body from place to place. Distribute the load of your body throughout your body well by learning an alignment stance that allows your body to adapt to the load (back your hips up to let your backside carry more weight, keep your ribcage centered to allow more core musculature to contribute their support). Also, now is the time for abundant and diverse movements that allow more parts of you to feel and adapt to the baby weight you’re carrying. I viewed pregnancy (I’ve had two) as the ultimate fitness test, as it was weight I could never set down—it was naturally facilitated training. Which is a blessing, as birth is a natural athletic event you want to be trained for! I have an entire section on pregnancy and alignment in my book Alignment Matters. I believe crawling can be part of a core restoration/therapeutic program, but there are key alignments that have to be first addressed to make it restorative. 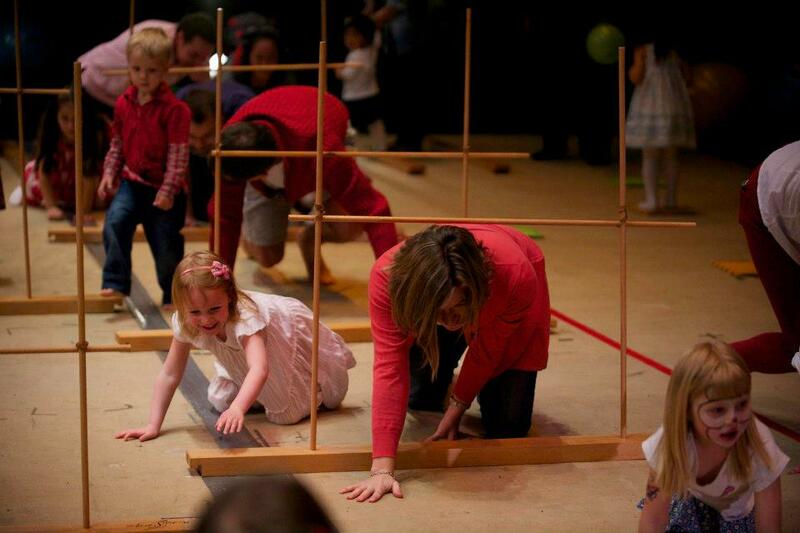 Crawling is fairly intuitive, but remember, we’re bringing our adapted structure to the move. If your adaptations already include an abdominal separation, then this can indicate that the way you’re using your body isn’t using certain areas. I’d recommend learning about smaller moves foundational to crawling so you have a larger “how to adjust myself” toolbox at your fingertips. These moves include being able to keep both your pelvis and ribcage stabilized for better truck muscle leverage, externally rotating the upper arms for better lat use, and not gripping with the hands (the more you grip the more your hands do the work and the less your shoulders and torso can contribute to refining your stability). You’ll find foundational alignment adjustments and moves in my book on Diastasis Recti and you can apply those principles to crawling. Building a community with others can be a challenge when movement is the central theme. We’ve all become so sedentary! 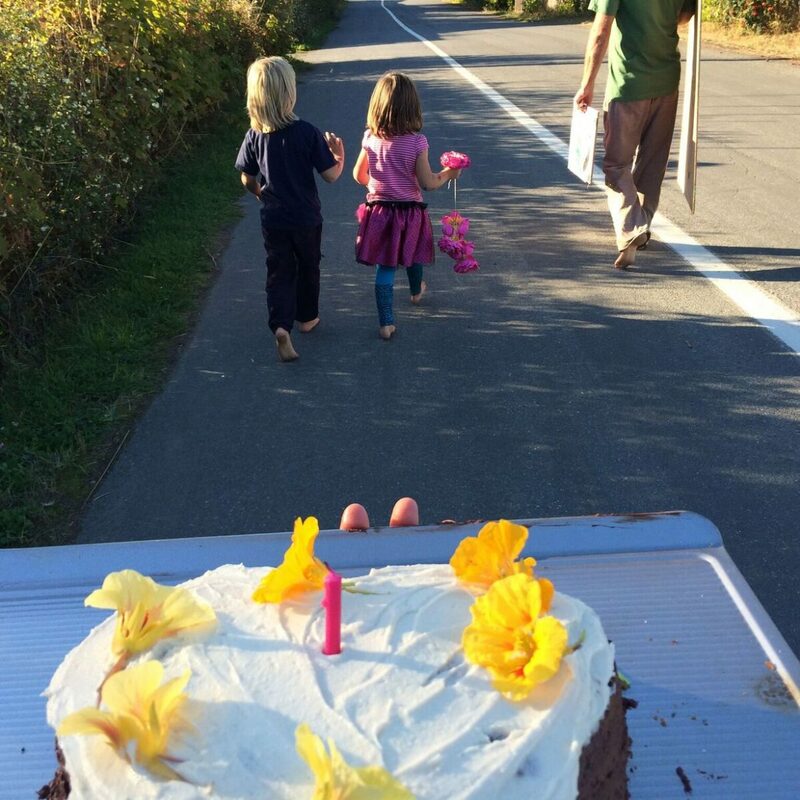 A few ideas that might lighten your load: your family is also a community right now. Keep moving as a unit, putting out the invites, and now and then other people will join! Ask new people, too—it might be that the community you’re looking for is currently outside of whom you’re online with (via Facebook) daily. I once saw a “looking for a walking buddy” poster in a local co-op, so maybe online isn’t the best place to find your local movers. Also, build non-people community. The trees and wind and mushrooms and birds are also others that are there with you. Meaning, you can learn to feel supported by others while moving outside, even if it’s not other humans. You can also take a nature-based class and meet new people interested in learning to identify plants. You might consider hosting moving birthday parties or a community soup night where you all sit on the floor (which can lead more naturally into playing with ground work/floor transitions). Or go to spin class with your friends, and then suggest a walk afterward with a cup of coffee. Get a group of friends together to go pick up trash in a local common area. Building community requires both parties be flexible in meeting each others’ needs, but also, “Hey, let’s move together” can be intimidating for those who aren’t into movement. That being said, many are into nature and outside games, volunteering in their community—so maybe frame invites around the non-movement component of the activity and see what happens. 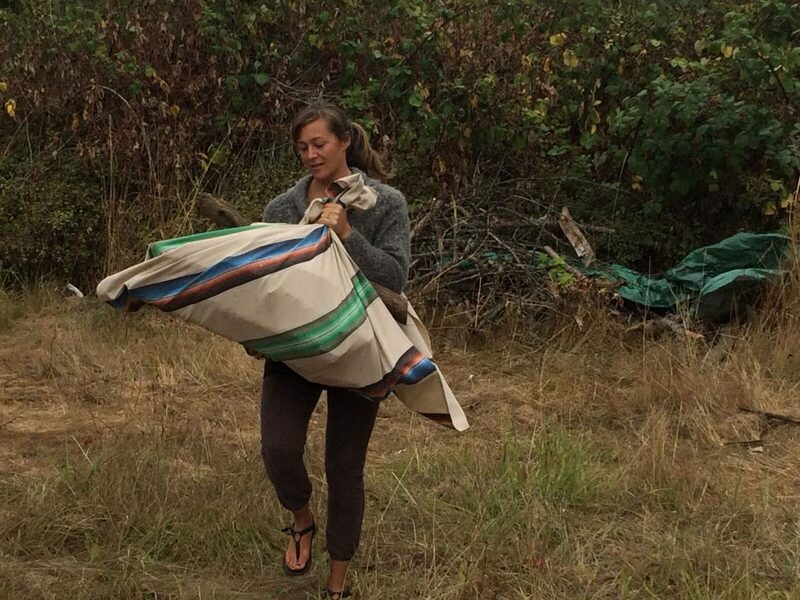 spend a few hours volunteering on a farm for some more intense, dynamic labor, or jump in and assist in a community house/barn/park building project if you can find one. Use your body to help build a house? Now that’s an achievement! There are endless directions you can take natural movement that will challenge you greatly—so you don’t feel like you’re plateauing! Chances are, as you keep a robust pursuance of natural movement, you can revisit items that feel daunting by scaling them to be more stepwise. If THAT rock over there feels too far, make note of the distance and recreate something a little closer and give it a try. Notice what your concern is specifically—slipperiness? Lack of foot strength to deal with a landing? Too far to jump?—and create your program based on where you need to adapt. For inspiration in terms of being a little, um, older, I recommend checking out my book Dynamic Aging, which I co-wrote with four septuagenarians (two of whom have since entered their eighties). 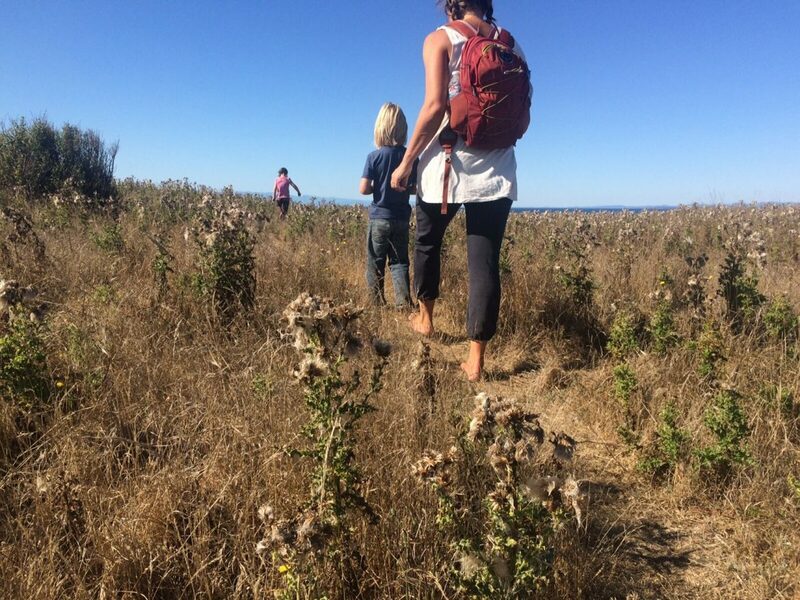 These women began working with me about ten years ago and have become incredible natural movers, climbing trees and hiking mountains in minimalist shoes—all by starting with small movements to strengthen neglected areas within their body. Once they filled the strength gaps, larger feats became possible. They’re my heroes and my role models. This is one of the reasons I speak about exercise and non-exercise movement. Many people pursue movement only during “training” time—and then experience physical scenarios while training that end up reducing the length or effectiveness of a training period. Many issues, including scenarios of incontinence, can relate directly to abundant sedentarism—lots of sitting for work, play, and rest. My approach is to adjust training to first address the weaknesses creating symptoms. You’ve already got time for movement set aside—steer it towards adaptations that then go on to facilitate even more movement. I have a book called Diastasis Recti that breaks down the pressures that cause DR and also urine leakage, pelvic floor issues, and pelvic organ prolapse. It has a training program to follow to restore strength and balance to the whole core. Training for strength is great, and using weights to train for strength is also great. The only issue is that your mode of training sets the range over which you adapt. For many, training with weights is enough to make them feel strong and fit, because there’s not much in our daily lives that requires us to move in a complex way. Thus, we never really tune in to how little we can diversify our movements. A fine example is that my husband and I exclusively carried our children—we had no strollers. After a day of carrying two babies in a crowded park, a body builder came over to say he had been watching us all day and couldn’t believe we had carried our kids all day—that his back wouldn’t be able to tolerate that. Is he strong? Yes. Does he lift heavy weights daily? Absolutely! Does that practice automatically translate into other movements that require strength? No. He is fit for weight lifting, but not fit for a day of carrying children. Lift weights if you enjoy lifting them, but know that there is a tremendous volume of training that awaits you once your mind opens to using a two-year-old (for example) as your training program. 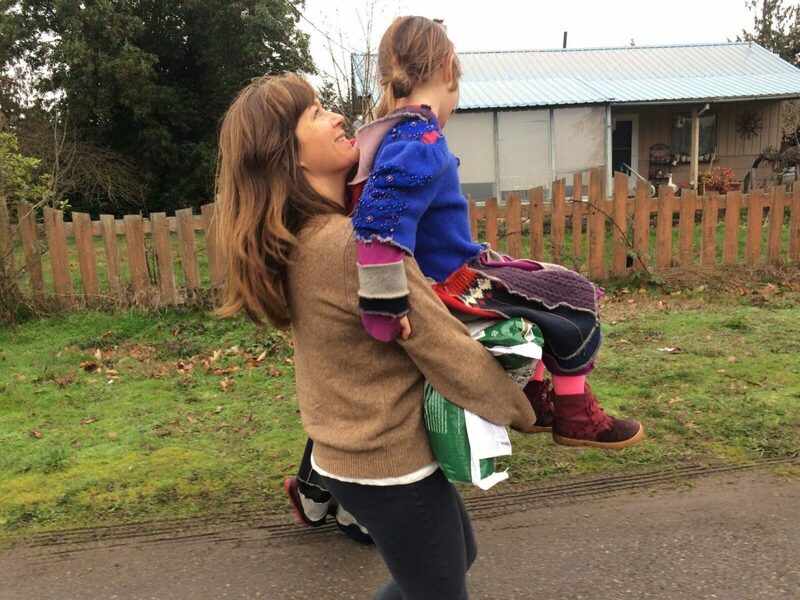 It’s worth noting that lifting weights doesn’t come with hours of skin-on-skin contact; it doesn’t facilitate the movement development of a tiny human, or give you both a dynamic, joyful connection (here’s an example of stacking your life in practice!). There is a place for everything, and knowing how it all works will help you figure out where movement fits into your life. Lucky for you, I have a whole page on my website about a day in my life (and a day in other movement-rich lives too!) so you can see some examples. Specific kid questions—screen time is very limited for my kids—we don’t have a television and will stream a family movie once a week on our computer. There are a few exceptions per month—when we’re feeling beat by the day we’ll all enjoy an episode of cooking shows that feature kids while we prepare dinner. My husband and I spend a lot of time outside, which makes them want to join us (if we’re not outside, they don’t want to be outside either), and they attend an outdoor nature school a few days a week and the other days we picked a school that prioritizes daily hikes and nature time. We walk for much of what we need daily (grocery store, post office), so that gets us 1-3 miles pretty easily. Our social time—being with friends and even eating—is typically centered around big group hikes and outside play. We’ve strived to make “outside” the norm and we’re often more comfortable there. You’ll find many of my “stacks” featured on my Instagram account show movement and nature put back in to “every day tasks” that have let these go. 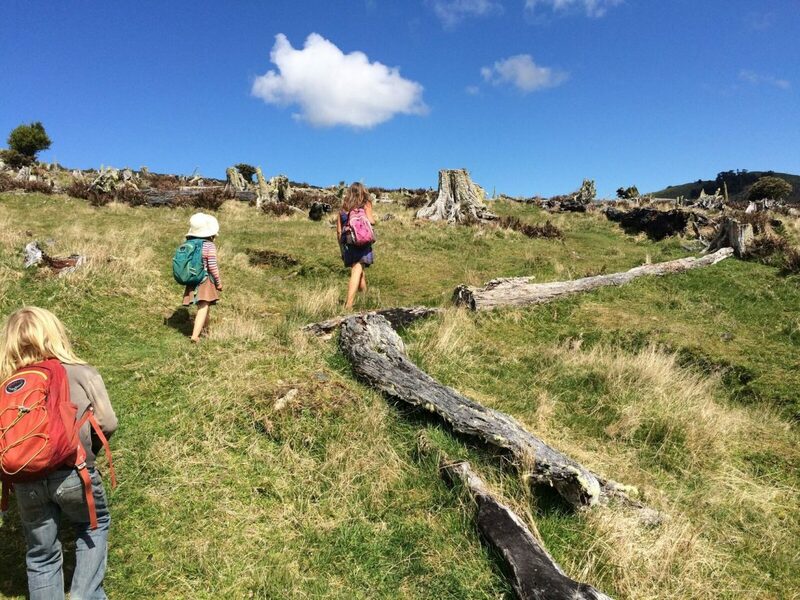 How do you get your kids to walk and how long do walks take you? The kids walk daily (1-3 miles, with a weekly 4-6 miler, and a BIG adventure 8-11 miles monthly once winter has passed!). Many ask how long these walks take. The “average” answer is about a mile per hour. Walks in the 1-3 mile range average. 25 minutes a mile because these are done for the purpose of work/chores. We’re walking to get groceries, deliver things to our neighbors, get to school. Like everyone, we like to get our chores done more quickly so we can get to some non-chore fun as well. Four-six milers to get to a rad place in nature—hot springs, a huge tree, to gather mushrooms, to get to the high point on a mountain to see a super moon—take longer. BEING out there is why we’re there and is what’s happening for the day. We’re not trying to get from point A to point B, we’re motivated by something else entirely, so long stops to build a nest in a tree-shaped branch, tie leaves and grass on bushes, and pretend-scythe with a stick is the rule of the day. We play in nature, and our play isn’t limited to the walk. Last Sunday’s 6 miles along a pretty flat trail took five hours. They can walk faster than that, but this is what they’re doing today and moving quickly to end what they’re doing today doesn’t make that much sense. There’s unlimited toys and imagination out here, there’s a 5-hour boundary-less play date out here. My husband and I have hours of conversation and connection as well as can explore lots of non-walking movements as our stop-and-play. We have good food, a thermos of hot tea (the secret to long chilly days outside) and good company to keep us outside-comfortable (which, yes, is different than inside-comfortable, but it’s so stacked with your needs your mind eventually gets it!). REALLY LONG adventures (the longest we’ve had is 11 miles, a couple of times last summer) start earlier in the day after a big meal. These always have some sense of athletic challenge—”we’re going to make it to the end of the spit and back” or “this is all up hill, but there is a lake all to ourselves once we get there and we have a couple hours to swim!” We’ve let them pick the challenge and hold themselves accountable. Interesting that they average a little less than an hour per mile. I think because completing the adventure is the goal, they modify their rates to get it done more quickly. Eleven miles will take us more like 8 hours. And, P.S. When they’re done and back home or at camp or at the trek launch, all they want to do is run around and play. They’re not tired—they’re almost never too tired. They simply need to be presented a certain relationship with what’s about to happen and their mind can adapt. My kids are 5.5 and 7 (two days ago), so these were stats from 4.5 and 6 year olds. We’ll see what this year brings. Oh, some other things: We’ve done things like practice lines for a school play for five hours, where someone carries the lines and we do a walk-rehearsal. One of my MOST FAVORITE times with my family, ever! I think having a family poem memorization walk could be a fun way to tie in other interests. We play A LOT of animal vegetable mineral, we play “walking CHOPPED” where someone gives mystery ingredients and we tell the judge what we’d make with them. We walk and try to list ALL the birds or ALL the flowers we know until what we know is exhausted. We did a bird list in New Zealand, and were about to name a winner (the last person to come up with one) when a WEKA stepped out in front of us and walked to us. “What bird is that?” we asked someone on the trail. “It’s a weka.” We all rushed to shout WEKA and be named the winner. Anyhow, our time out–in nature or walking our city’s streets–often includes moments that feel beautiful and miraculous, and I’d like to help you all be able to do this more! Bio: Katy Bowman is a biomechanist by training and a problem-solver at heart. Her award-winning podcast Move Your DNA reach hundreds of thousands of people every month, and thousands have taken her live classes. Katy is the author of eight books, including the best-selling Move Your DNA and Movement Matters, a collection of essays in which she continues her groundbreaking investigation of the mechanics of our sedentary culture and the profound potential of human movement. 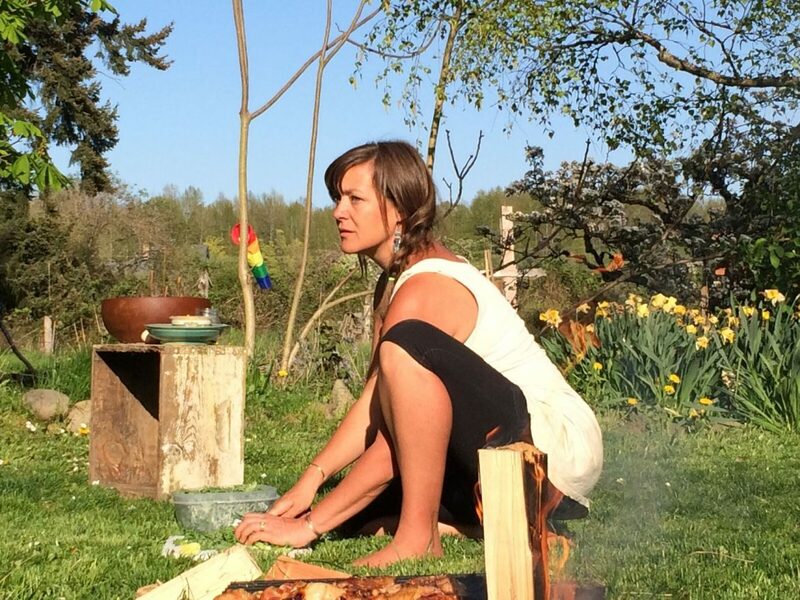 Follow her on Instagram for regular posts on how to stack movement and nature back into life! We’re Bringing Healthy And Capable Back! We’re hosting a couple of special women-only events this summer to help you learn how to move with efficiency and ease. 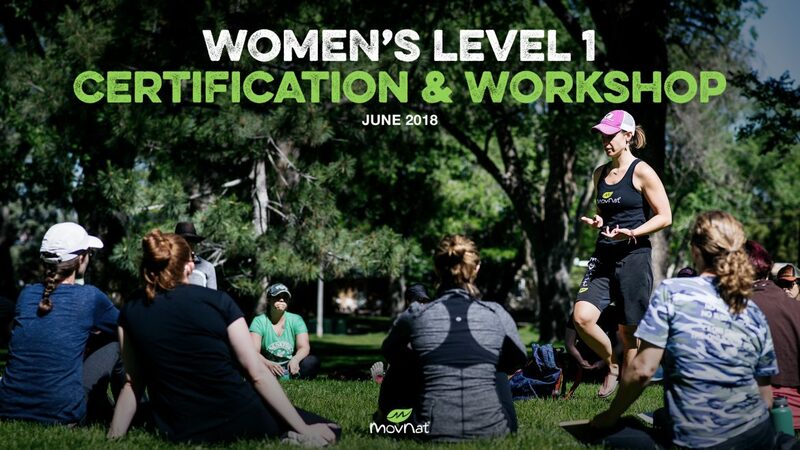 So, if you’d like to learn all about Natural Movement Fitness and deepen your movement practice, please sign up for one of our upcoming Women’s Certifications or Women’s Workshops, where we’ll help you take your movement to the next level. We’ve done a few of these events in the past and they always fill up quickly. Space is limited. So, reserve your spot today using one of the links below.